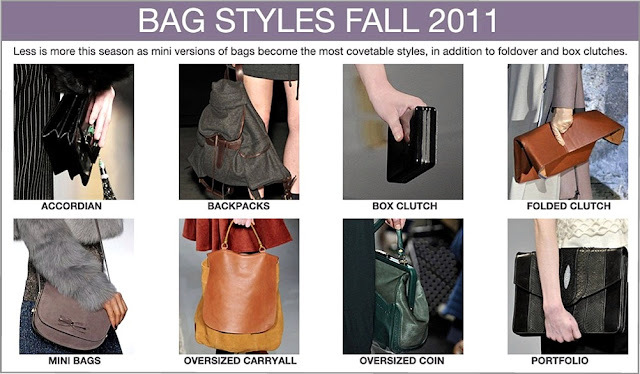 Adoro lêr a Elle Canadá e saber tudo sobre as Style Scoop Hot Trends que sempre encontro na versão online da revista. Escolhi trazer aqui as principais tendências em malas para a estação Outono/Inverno 2011, apresentadas nas passerelles por alguns dos maiores e mais inspiradores criadores de moda internacionais. A minha preferência vai para as folded clutches, as oversized carryall (que adoro e uso imenso!!) e para as portfolio. E quanto a Vocês? 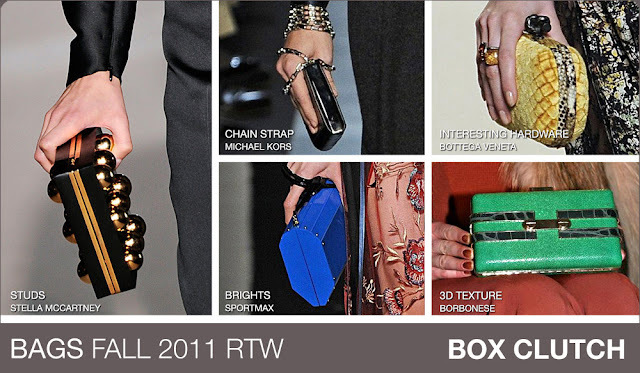 Quais as Vossas preferidas? 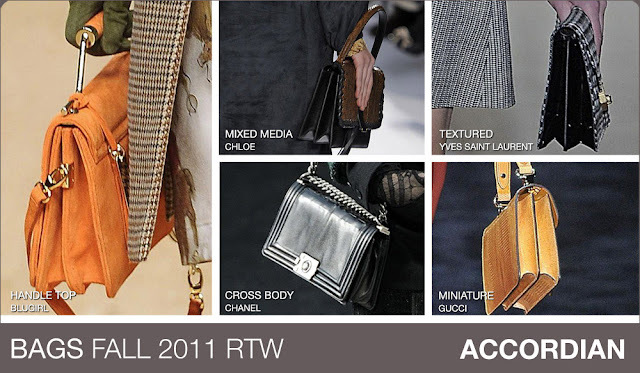 I love to read Elle Canada and know everything about the Style Scoop Hot Trends that I always find in the online version of the magazine. 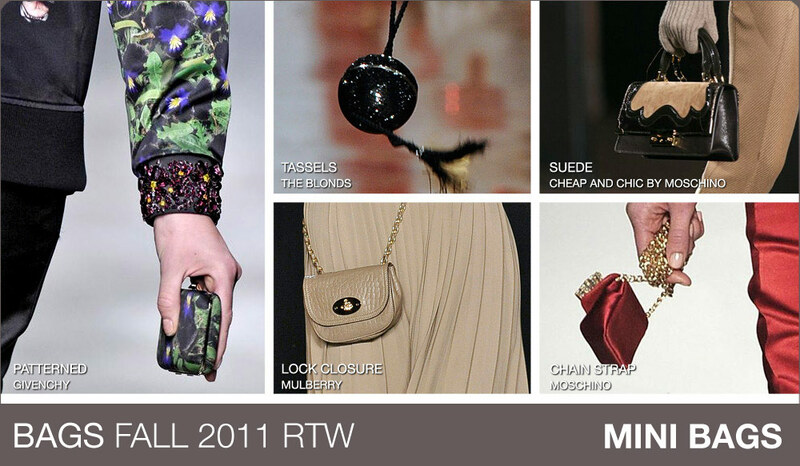 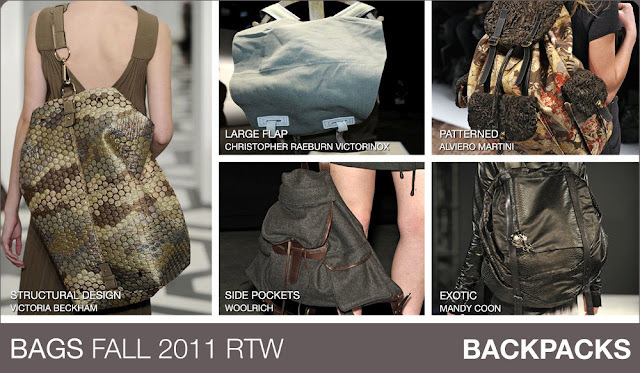 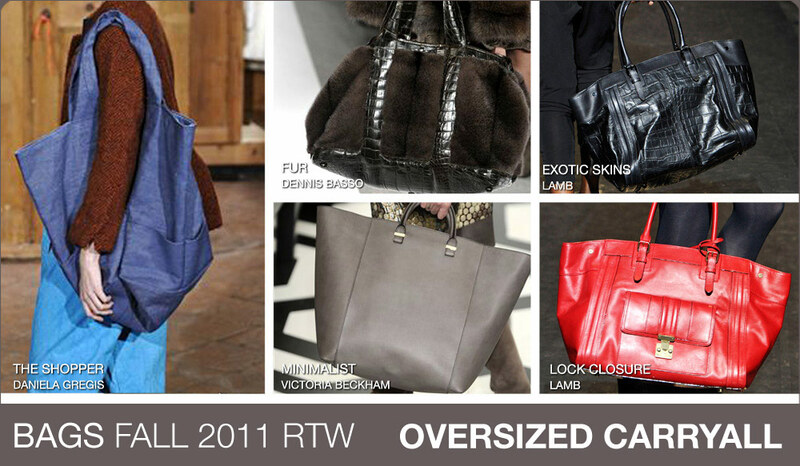 I chose to bring here some of the key trends in bag styles for Fall/Winter 2011, and that were presented in international runway shows by some of the most inspiring designers. 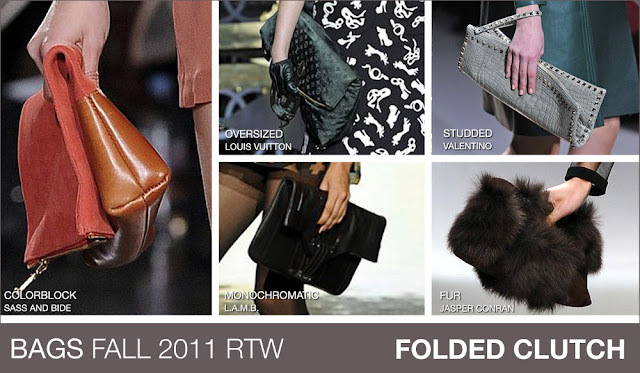 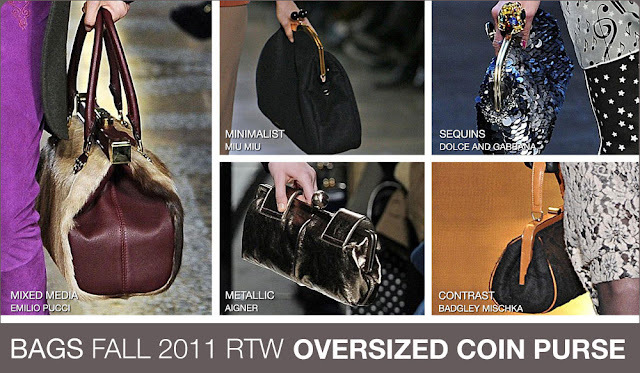 My preference goes to the folded clutches, the oversized carryall (that I love and wear a lot!!) 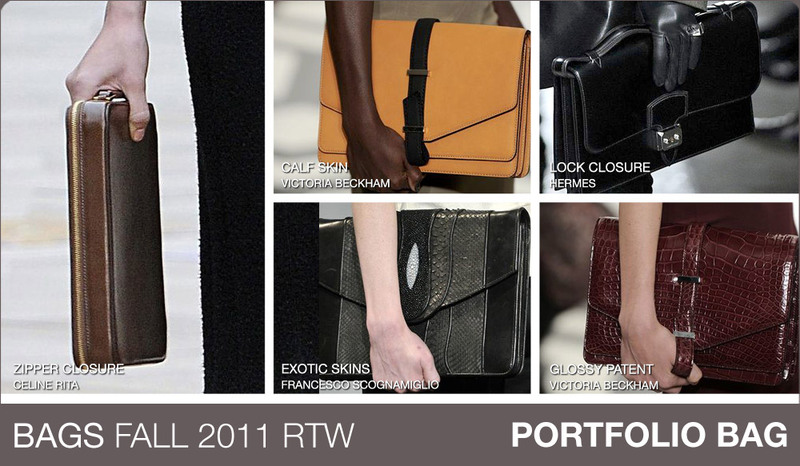 and the portfolio ones. And what about you? Which are your favorites?